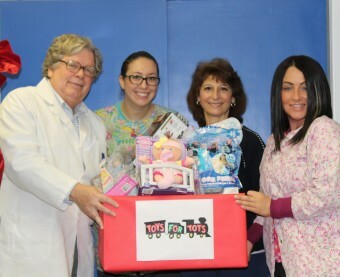 Thank you to all who participated in the Toys for Tots Holiday Toy Drive! 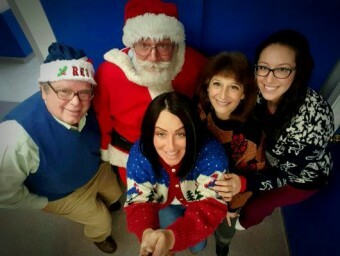 We wish you and your family a safe and beautiful holiday season! Protecting your kids’ teeth and gums is a year-round job. 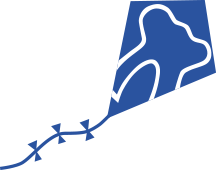 But in the winter, oral health and safety for children means finding the right balance between the fun of a snow day and the requirements of mouth care. Drier air, hot treats, snowball fights and more can put teeth at risk for damage. Here are a few ways you can keep your children healthy and happy throughout the cold season. Water isn’t just something you should have on hand in the summer. 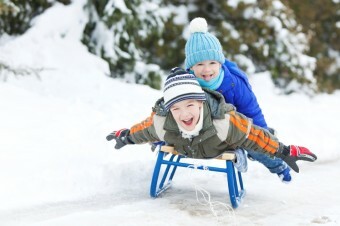 If your kids enjoy spending time sledding or playing a winter sport, they run the risk of becoming dehydrated. According to Mayo Clinic, kids are more likely to become dehydrated than adults because they weigh less to begin with and they aren’t as able to recognize thirst. Your child might also become dehydrated if he has the flu or a nasty cold. Health and safety for children means getting them to drink plenty of water in the winter, even if they don’t want to. If yours play winter sports, remind them to take a sip or two of water every 10 or 15 minutes, even if they don’t feel thirsty. Letting your kids drink tap water can provide another benefit: It may contain added fluoride, which can help protect their teeth from decay and cavities. In addition to staying hydrated, it’s important that your children dress for the weather as well. The American Academy of Pediatrics recommends dressing in thin layers when playing outdoors to keep your children from losing water through excessive perspiration. For young winter athletes, or those who simply enjoy the ski slope when snow is on the ground, you’ll need to provide protection from physical damage. Injuries during sports make up between 10 and 39 percent of dental injuries in kids, according to the American Academy of Pediatric Dentistry. Having your child wear protection, in the form of a mouthguard or face mask, when playing any type of winter sport will reduce his risk for dental injury. You can pick up a mouthguard from the drugstore or bring your child to the dentist for a custom fitting. Keeping with good dental habits in the winter is a staple of protecting your kids’ oral health. Brushing twice daily and flossing once a day are especially important when a child has the cold or flu. The immune system is busy fighting the cold or flu virus and needs all the help it can get. Your child might be less inclined to brush and floss when he is feeling under the weather, though. To encourage good oral care when your son or daughter is sick, consider using a flavored toothpaste satisfying flavors such as strawberry and watermelon. When your child has a cough or sore throat, it’s natural to give him a cough drop. 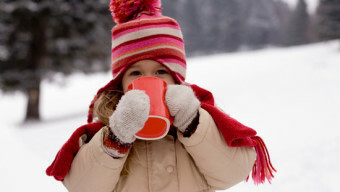 Plenty of kids drink a lot of juice when battling a cold, or enjoy a cup of hot cocoa after a day out sledding. But cough drops, juice and hot cocoa can be bad news for your kids’ teeth because they tend to contain a lot of sugar, which leads to cavities and decay. One solution is to give your kids sugar-free cough drops when they have a sore throat. Water is a good substitute for juice when your kids are sick, helping to rehydrate them at the same time. As for hot chocolate, try a version using real milk and dark chocolate, which contains less sugar than other options. Protecting your kids’ health this winter means more than just making sure they stay warm and away from the flu. 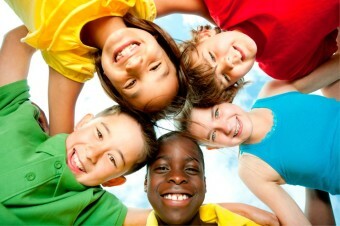 It also means keeping an eye on their oral health and taking steps to protect their teeth. This entry was posted in Dental Health Tips on November 23, 2015 by edmonstone.